Insulated thermos to keep your food warm or cold until you need it. Perfect for sending soup, pasta, leftovers, warm sausages etc for lunch – or maybe a cold treat as it keeps warm for up to 5 hours and cold up to 7 hours. If using for hot food remember to re-heat the jar by putting hot/boiling water in the jar for app 10 min, pour out, wipe dry and then put the hot food in before the lid is put on. This easy-to-grip jar is made with BPA-free materials, which means snacks stay fresh and don’t develop odors after repeated use. The non-skid base grips to tabletops so veggies won’t “fall off the table” during lunch. 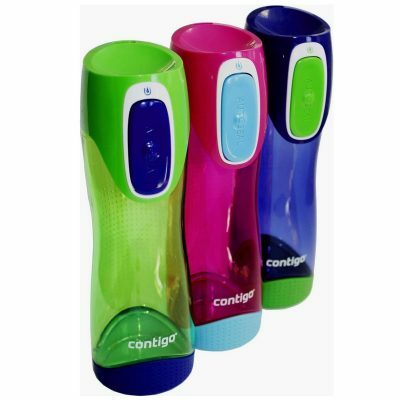 The personalised Contigo thermo jar is top-rack dishwasher safe for easy cleaning. And with a name/text in the lid it is perfect to bring to kindy/school/work etc. Comes in 3 different designs: The Scout which has a handle. Hearts and Skeletons which do not have a handle. Vacuum-insulated double-wall stainless steel keeps food hot for 5 hours and cold for 7 hours. Perfect for soup, pasta, salads, yoghurt and more! 100% BPA-free, phthalate-free and PVC-free. Non-skid bottom pad grips tabletops for added stability. It is a permanent fixture in our ski backpack – warmed up and filled with lactosefree HOT chocolate in the morning – so our son can enjoy his own Hot Choc when we all are cold and need a warm drink in a restaurant. I also use it for coffee or tea myself at times!